Properties in Town of East Hampton average 4.9 out of 5 stars. Serene East Hampton Apt. w/ Private Yard & Pool! Property 4: Serene East Hampton Apt. w/ Private Yard & Pool! Property 13: Magnificent Ocean View -Steps away from ocean! 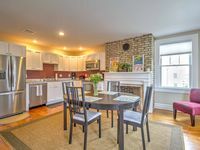 Property 16: Renovated 1 BR getaway 1 block from Mystic River in Historic downtown! Property 21: Stonington Borough first floor one bedroom furnished apartment. 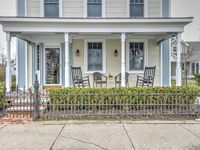 Luxuriously Renovated Retreat in Downtown Mystic With River Views! Property 23: Luxuriously Renovated Retreat in Downtown Mystic With River Views! Property 27: Seaside Getaway! Short walk to town and 180degrees of ocean views. Property 31: Renovated - Apartment A - Great Area - Beach - Greenport - Ferry - Restaurants! Property 32: Pet Friendly Apartment, sleeps 5! Stay In The Center Of Everything, Beach, Shopping & Dining Steps From Your Door. Property 45: Stay In The Center Of Everything, Beach, Shopping & Dining Steps From Your Door. Property 46: Best Value in Westerly! Perfect home base for a week in the North Fork! We came here for our &quot;mini-moon&quot;, to relax the week after our wedding. It was exactly what we wanted--the apartment is clean, well-kept, and a wonderful place to stay. It's a great location and grants easy access to the restaurants and fall sightseeing. We highly recommend and would definitely come back.